This prototype was built to show the client how they could potentially store regional sales information in an interactive map. 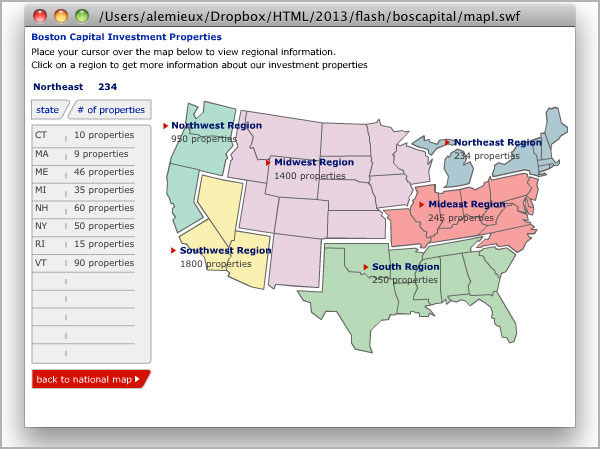 The map has regional rollovers with additional information included. All of the data is retrieved from an XML file.